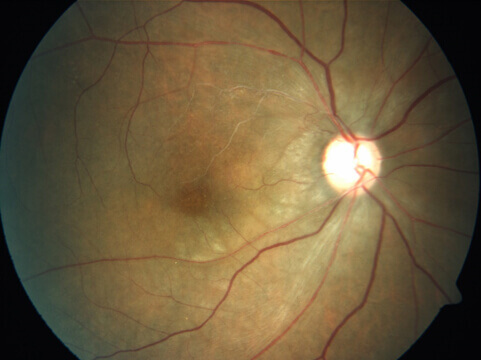 It is an occlusion of the main blood vessel (central retinal artery) supplying the retina. It presents as a sudden and painless loss of vision. It is usually noted in patients with diabetes, hypertension (high BP), heart problems and clotting disorders of the blood. Older patients and smokers are at a higher risk. 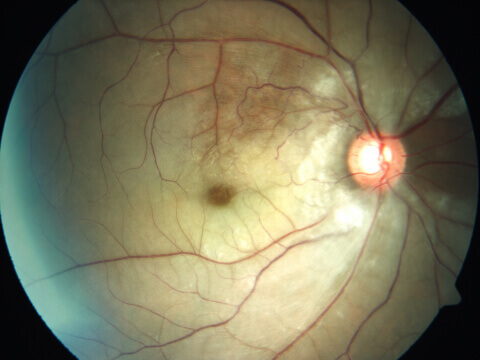 Inflammation or obstruction of the blood vessels leading to the eye can also result in abnormal tissue or clot being transmitted to central retinal artery causing its occlusion. A dilated retinal examination is done where a characteristic cherry red spot is noted in the central part of the retina. Occasionally the causative fat /tissue debris/clot can also be identified. Presence of tissue debris in the eye also suggests the possibility of similar problem occurring in other critical parts of the body like the heart or the brain. Hence a consultation with a cardiologist or a neurologist may also be suggested. If the patient presents early, efforts are made to reduce the intraocular pressure of the eye. This can be done by medication, eye massage or by draining some fluid from the eye. The logic of these procedures is to dislodge the pathology causing the occlusion by restoring the normal blood vessel. A small percentage of people presenting early get benefited by these measures. This can be done by maintaining a healthy weight and consuming healthy diet. Regular exercises and control of blood sugars also provide protection. Avoiding smoking also benefits the patient.